Accidental claim fraud is one of the most popular insurance frauds that have been dramatically increasing day by day. Unfortunately, there are millions of insured who wants to take benefits through fraudulent activities. They can narrate the whole incident which apparently looks very real and on the basis of it, many of the insurance companies end with the loss of a big amount of currency. The story for fake claim can be narrated in a very professional way, where doctors, witness are ready even to provide their statements or fake medial certificates. Our investigation will not only be zoomed around the insured but it will be based upon all facts and figures where we can grab the whole plan. We believe that we need to find out the pure facts and findings and on behalf of our report, our client not even save the money but also can take proper actions against fraud. However, we always try our best that our client become more vigilant and review each and every matter through the hawk eye. List the names and addresses of all physicians and hospitals that provided treatment to insured. We collect all the crucial elements in the investigation and can provide the most solid factual evidences to ensure that the capacity of claim is genuine or fabricated. 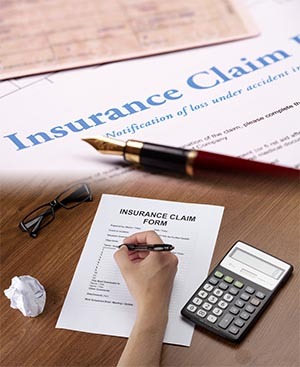 We, at Greves Verification Solutions, have adapted the best practice guide to tackle the growing problem of Insurance fraud. We show steps to our clients to make it hard for bogus claimants and lay pebbles on their road to succeed in projecting the claim. Our team of experienced claim investigators have the best know how on digging out the truth and putting it to light. We are working with industry experts and highly skilled investigators & associates, which enables us to give our best shot in terms of conducting accident or motor vehicle crash claim investigations. Our facts and finding always give more knowledge to our client to forecast the futuristic problems which can lead to high level of damages. We provide tailor-made services that will help you to ﬁght against crime and fraudulent activities in Insurance sector. If you are suspicious about a claim or want to know the real facts, we are always standing beside you to curb the fraud. Kindly contact us on info@gvs.ae according to your requirement respectively.